Allee effects are an important dynamic phenomenon believed to be manifested in several population processes, notably extinction and invasion. Though widely cited in these contexts, the evidence for their strength and prevalence has not been critically evaluated. 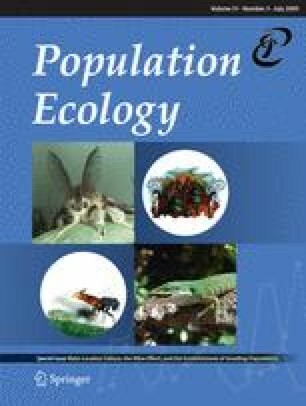 We review results from 91 studies on Allee effects in natural animal populations. We focus on empirical signatures that are used or might be used to detect Allee effects, the types of data in which Allee effects are evident, the empirical support for the occurrence of critical densities in natural populations, and differences among taxa both in the presence of Allee effects and primary causal mechanisms. We find that conclusive examples are known from Mollusca, Arthropoda, and Chordata, including three classes of vertebrates, and are most commonly documented to result from mate limitation in invertebrates and from predator–prey interactions in vertebrates. More than half of studies failed to distinguish component and demographic Allee effects in data, although the distinction is crucial to most of the population-level dynamic implications associated with Allee effects (e.g., the existence of an unstable critical density associated with strong Allee effects). Thus, although we find conclusive evidence for Allee effects due to a variety of mechanisms in natural populations of 59 animal species, we also find that existing data addressing the strength and commonness of Allee effects across species and populations is limited; evidence for a critical density for most populations is lacking. We suggest that current studies, mainly observational in nature, should be supplemented by population-scale experiments and approaches connecting component and demographic effects. The online version of this article (doi: 10.1007/s10144-009-0152-6) contains supplementary material, which is available to authorized users. We thank Blaine Griffen, Andrea Silletti, Philip Stephens, David Boukal, and three anonymous reviewers for suggestions on an earlier version of this manuscript. Funding for this project was provided by the University of Georgia and a grant from the Great Lakes Protection Fund.